Last week I wrote about how to think positively about negative reviews. I just came across a site that embraces the negative and has created a product comparison matrix that shows both the pluses and minuses of its products. The Allergy Buyer’s Club also includes its own experts’ rating system, including “Best in Category” badges. Though all this information may be overwhelming for some, this is a huge trust builder. 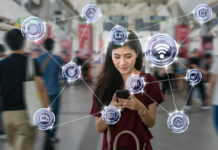 This retailer is not trying to conceal the shortcomings of product, and has taken the time to lay out all the facts for a customer to make an informed decision. And it makes nice work of explaining benefits, not just features. 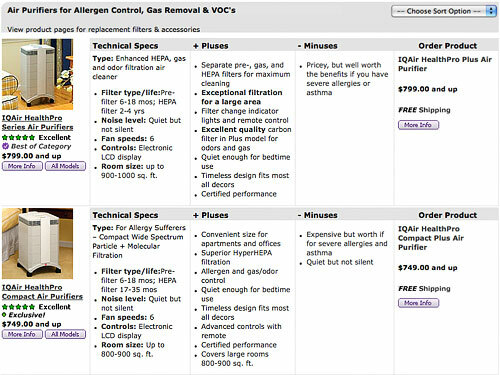 Bad pun alert: Allergy Buyers Club really “clears the air” on its products’ short-comings. Side-note: I think a “filter by room size” option would be helpful. (I’ll spare you an air filter pun). Previous articleHow Did Target Miss My Inbox?